The breeze and tension increased in Muscat on Day 3 of the Extreme Sailing Series, with the Oman Air team holding a podium place with all to play for ahead of Saturday’s deciding races. Team Oman Air started the third day with a flourish, winning the first race to keep the pressure on the overall Muscat event leaders Alinghi. Following that the team posted a succession of strong podium place finishes – including a further race win – though it was the reigning 2017 Series champions SAP Extreme Sailing Team who hit form with four race wins to ease into second place overall with a narrow four point lead over Oman Air. 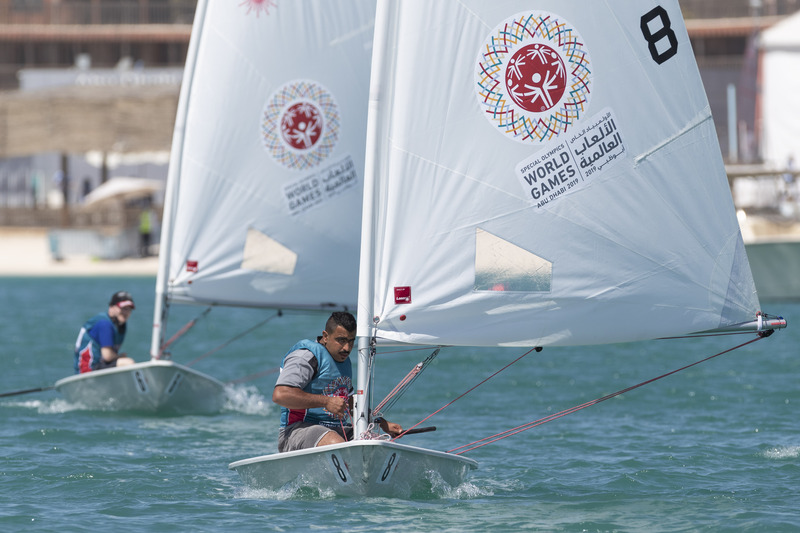 With the wind strength up into the mid-teens and a choppy sea state, the foiling GC32 catamarans were able to showcase the excitement of the Extreme Sailing Series, reaching speeds of up to 30 knots to the delight of hundreds of spectators lining the shore at Al Mouj Muscat. With a further day of racing to go – and with the final race of the event counting for double points – the Oman Air team of skipper Phil Robertson, Pete Greenhalgh, James Wierzbowski, Stewart Dodson and Nasser Al Mashari know there is plenty of opportunity for change. “We had more breeze today and it’s a different boat and a different game – it was a lot of fun to be honest as it’s a good blast to have that kind of wind after a few days of light airs,” said Robertson. “It’s always nice to come out and win right off the bat, and we had a few other races where we were leading as well, so a good day all in all. We’re loving it,” added the upbeat New Zealander. 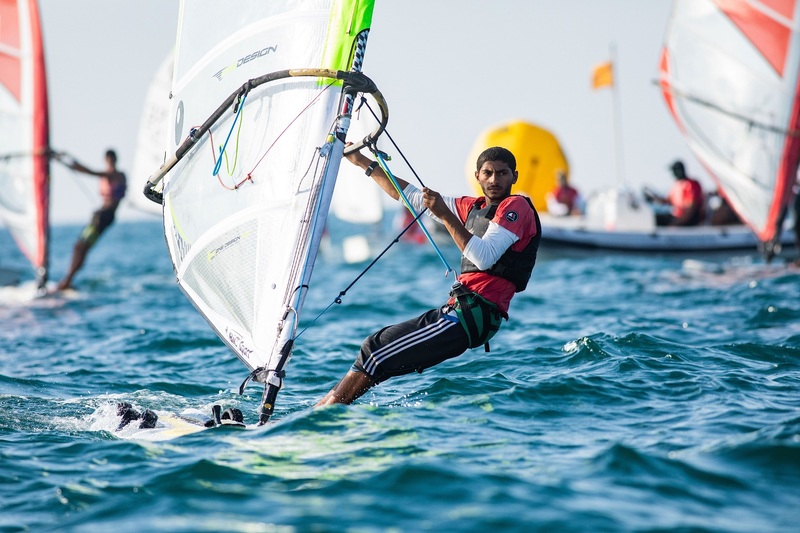 Oman’s experienced Extreme Sailing Series racer Al Mashari also welcomed the fresher conditions out on the Muscat course. “We all had a lot of fun out there and the spirit on the boat is good,” he said. “I think it is also great that the many spectators who came down to watch were able to see the excitement of the racing. “For all of us on Oman Air it is good to know that we have a lot of local support. 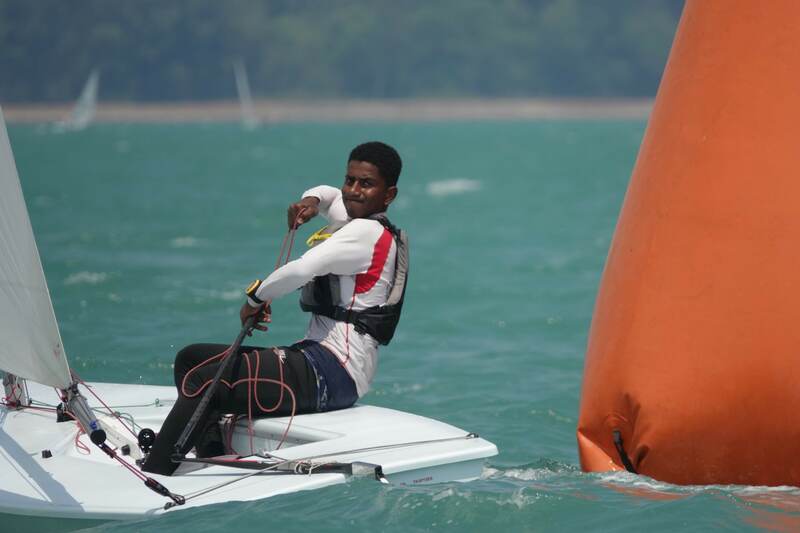 Muscat is my home so it is a great feeling to be able to race here,” he added. Overall, Alinghi lead the event with 194 points. SAP are second on 184, with Oman Air hard on their heels with 180 points. 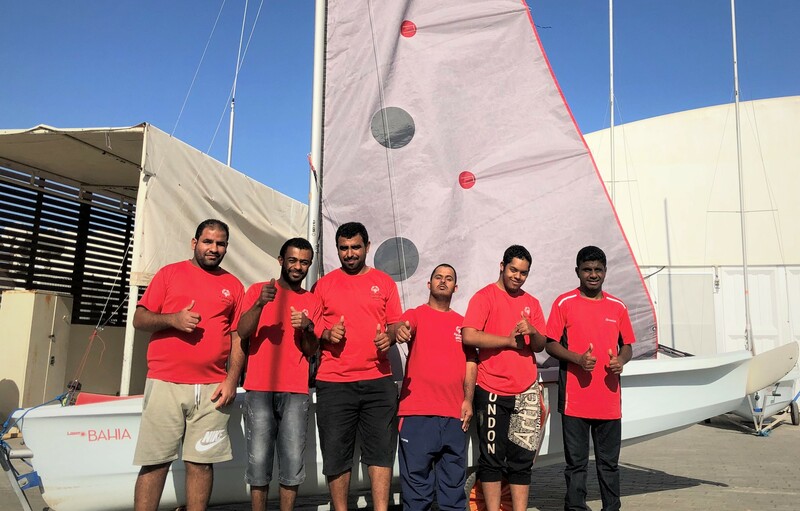 Action in the Extreme Sailing Series continues off Al Mouj, Muscat on Saturday, with the free public access Race Village at Al Mouj Golf again offering a close-up view of the drama on the race course. The Race Village offers a varied range of activities for families and children, and also features the popular ‘Weekend Souq’ – with more than 45 vendors – from the creators of the successful Souq Es Sabt farmers’ market.